Janice earned a Bachelor's Degree in Education from Angelo State University and a Master's Degree in Educational Administration from Texas A&M. With 34 years of experience in education, Janice joined the STPCC staff as the Client Services Manager in 2014 and then moved into the Executive Director position in 2016. Janice is an active member of Forest Hills Baptist Church in Seguin. 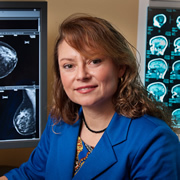 Donna earned a Bachelor's Degree in Nursing from University of Texas Health Science Center at San Antonio. She has 12 years of experience in Neonatal Intensive Care and Newborn Nursery. She became a volunteer Client Advocate in 2009 and joined the staff in 2011 as the Nurse Manager. Donna and her family are active members at First Baptist Church in McQueeney. 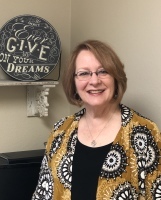 Amy has a Bachelor's Degree in Psychology from Texas Lutheran University and a Master's Degree in Counseling Psychology from the University of Central Oklahoma. Amy is a Licensed Professional Counselor (LPC) and has 14 years of counseling experience. Amy became a volunteer Client Advocate at STPCC in 2016 and joined the staff as Client Services Manager in 2017. Amy and her family worship at St. Paul Lutheran in New Braunfels. Irene earned an Associate's Degree in Arts and Sciences from Ricks College and a Licensed Vocational Nursing Certificate from St. Philips College. She has 14 years of experience in Home Health nursing. Irene volunteered at the San Antonio Pregnancy Care Center in 2016. She then became a volunteer nurse at STPCC in 2017 and joined the staff later that year. Irene and her family attend Living Waters Church in Seguin. Judy served as City Administrative Assistant then retired as City Secretary with 20 years service in local city government. She is a leader in the post abortion Bible Study for the Center and her church. She is also a client advocate and has been a volunteer for over 10 years. Judy attends the Country Church in Marion where she is in the choir and a member of the weekly prayer group. Penny earned her Bachelor of Theology Degree from Life Pacific Christian College. She and her husband were missionaries in Sweden, Venezuela and Brazil. They also served as Associate Pastors in various places. Penny also earned her Teaching Degree from Texas State University and was a teacher for 25 years. Penny and her husband attend Brazen Grace Fellowship Church in San Antonio.